This is the first time I have seen 3d printing being used to print lower leg prosthetics and is an exciting development as well as being a very good cause. I have had such a busy few days and just got back from Cardiff where I spoke at the TSA International conference to a lot of very important people from the medical and technology worlds and also met some politicians there too. Spot which ones are mine? We had a final run through of our speech on Thursday and Friday and I started to get nervous about singing the song accapella – Runnin by Beyonce. Everything else was fine. we had time to meet our friends Lois & Joe and then had a swim before dinner in a posh restaurant. Early to bed as we had to be fresh for the speech on Monday. Before you ask we were given special permission to miss school as this was such a big event and Dad said to School we would learn a lot from it. On Monday we woke up and had a swim after breakfast then we had to rush to get ready, not sure why as we were not speaking until 3.30pm but Dad wanted to check it all out. The day went so slow but the longer it went on the more confident I felt about doing the speech and the song. We went into the hall about 45 mins before we were due to go live and did a sound check. I ran through the song and felt like it was right to do it. Before long the hall was filling up and we were introduced by the minister Paul Burstow and then we were off. We will post a video of the talk when we have it as TSA have videoed the whole thing and said they will share it. After the talk we heard an interesting man Matthew Warnes who was in a terrible car accident and has rebuilt his life to help others through creating homes ready for those with disabilities. Afterwards we were interviewed by Bob, Nicola’s husband and I was given a beautiful ring by Alyson with my birth stone in it!! We had to leave then booooo !! Dad said we had to get back for school, Koby & I just wanted to stay and we loved it so much. I am looking forward to my speech at TSA conference next week at Celtic Manor in Cardiff to speak to 600 delegates about my life with prosthetics and my hopes and dreams for a faster way of making my prosthetics. It really is a big honour to be asked to do this and I will be joined on stage by Adrian from Does Liverpool who will help me to explain the 3D printing process. The list of speakers – & ME !! 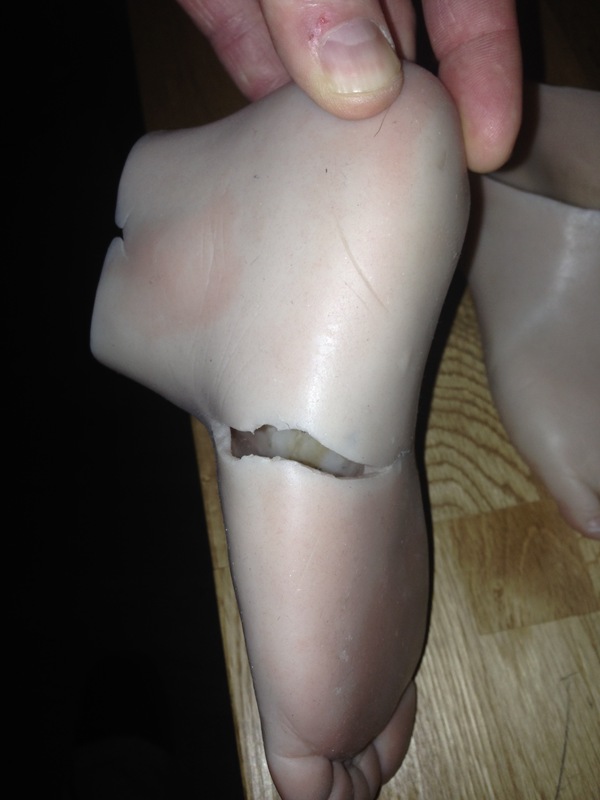 This week I am hoping to get my new prosthetics which I have been waiting for since April, my current ones are just about falling apart and are giving me blisters where they pinch my skin due to them being split. I hope the new ones fit as this is the 2nd attempt at making them and I fear a long period on crutches if these don’t work. Prosthetic limbs soon to have sense of touch !! This video and article (Thanks to Elaine) shows how smart skin a new technology adds the sense of touch, pressure, temperature & moisture to prosthetics. My dad & Adrian from Does Liverpool met with some families yesterday to build 2 more 3d hands. They have decided to launch an interest group at Does to meet up & continue the research into how to create 3d printed prosthetics that suit each child better. Dad is looking into printing a flexihand for me & also how to print silicone for my feet. There is a closed Facebook group for those wanting to be involved. Message via this site for more info. More news & dates to follow soon.